Las Vegas visitors at McCarran Airport fell almost 15 percent in November, 2008. Passenger traffic was near 3.2 million departures and arrivals last month according to news. Total amount of departures and arrivals have been 40.9 million at McCarran International Airport through Nov. 2008. Traffic has fell 7.1 percent for the year. The decline in passenger traffic fell for a 13th consecutive month and this month was 14.7 percent. Visitor decline isn’t looking good for the local economy. This downturn may soon eclipse the 15 consecutive month of decreases in 2001 and 2002. Again, the top five McCarran airlines have posted a decrease, including Southwest. Southwest airlines shuttles the most amount of passengers to and from Las Vegas. 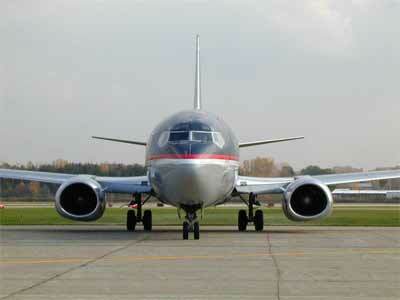 The biggest loser was US Airways during November with a decline of 31.4 percent. Year to date is 6.7 million departures and arrivals or a fall of 23.6 percent. The Las Vegas based Allegiant Air recorded a decline of 8.6 percent. Allegiant customarily posts higher than 10 percent increase in traffic. American’s traffic was 170,610 passengers or a decline of 4.6 percent. Year to date traffic is 2 million, .1 percent decline. Southwest Airlines passenger traffic fell to about 1.1 million departures and arrivals or 10 percent for November. Southwest has shuttled 14.5 million passengers, or a decline of 1.8 percent at McCarran for the pace of 2007. Delta had 189,345 departures and arrivals for Nov, or a decline of 7.3 percent. Year to date passenger total is 2.2 million, fall of 4.2 percent. International traffic was hit hard during November, down 29.5 percent or 142,617 departures and arrivals. Year to date total equaled about 2 million. Las Vegas visitors at McCarran International Airport fell almost 15 percent in Nov. 2008.